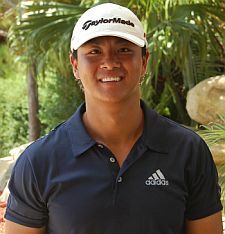 PALM CITY, Fla. – Sunny Kim of Queens, NY, enhanced his status as the all-time leading money winner on the Minor League Golf Tour, winning by two strokes Monday at Hammock Creek Golf Club. Kim made four straight birdies on the front nine enroute to a seven under par 65. He totaled eight birdies – at No. 2, the fourth through the seventh, then 9, 14 and 15 – before closing with a bogey at the par-4 16th and pars at 17 and 18. He collected $600 from the $2,375 purse and $51.44 from a skins game, raising his career earnings to $228,582 since October, 2006. Kim has won 56 times, third behind Steve LeBrun of West Palm Beach, 70 wins, and Jimmy Lytle of Ocean Ridge, 58. Lytle is second on the money list with $227,333. Matt Springer of Gary, IN, was second among 19 starters with 67 and actually won more money on the day than Kim. Springer received $475 from the main purse, $183 from an optional bonus pool and $51.44 in skins for a total of $709.44. He had seven birdies and a double bogey at the par-4 11th hole. The MLGT's 3rd Major of the year starts Wednesday! 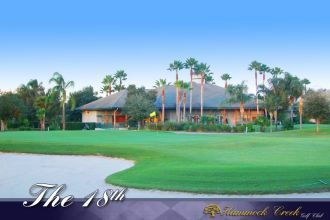 It is a 36-hole event Wednesday and Thursday 9/26-27 at the beautiful Seagate Country Club in Delray Beach. The entry fee is $640 with an optional $40 skins game ($20 per day) and optional $100 bonus pool. First place is guaranteed $3,000 at any number of players. $4K 1st @ 35 players, $5K 1st @ 45 players, 6K 1st @ 50 players. Sign up now to guarantee your spot in the field. Any questions please call Tournament Director Scott Turner at 561-598-9630.